How to build an outdoor bbq kitchen? How much does an outdoor kitchen add to home value? Not long ago, cooking outdoors meant numerous trips to and from the house, cooking on a small grill, and very little working space to prepare food. But luckily, things have changed, making outdoor cooking more convenient and more enjoyable! 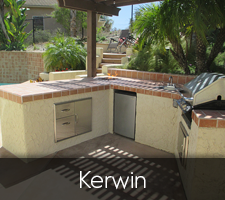 Outdoor kitchens are a beautiful addition to any patio, especially if you live in San Diego County. Here at Pacific Dreamscapes, we share the passion of countless homeowners who appreciate the experience of cooking, dining and entertaining guests outdoors. This is why our custom-built outdoor kitchens are works of art! Outdoor living is so much more convenient nowadays: large capacity barbecues that make cooking easier, pizza ovens, refrigerators and sinks. With a solution for any budget, more and more homeowners are extending their outdoor living area and even the most modest upgrades can greatly improve your outdoor kitchen design! It’s time to see why an outdoor kitchen and bbq island in San Diego are a match made in heaven! A stroll down the marvellous La Jolla beach could be all it takes for you to find inspiration for your own rugged backyard kitchen in San Diego. If you prefer a more neat, more urban, chic and stylish approach, no problem. We can rise up to any challenge! A bbq island in San Diego is, without a doubt, a sound investment. Besides, incorporating barbeque into your outdoor kitchen will save you so much time and hassle. No need to make unnecessary trips between your home and the outdoor kitchen/barbeque. We can design an outdoor kitchen that will employ the all-in-one approach you’ve always longed for! How do you decide on the perfect solution for your home? When trying to decide what type of outdoor kitchen you would like to have in your backyard, consider your family’s needs. Having an outdoor bbq island in San Diego has undeniable perks, but how do they meet the needs of your family? – How often will you be using your barbecue? – Will you be serving your meals inside or out? – What is your budget? These are all questions that you need to think over before calling in a landscape design company. If your budget is small, consider building in stages. It’s often possible to start out small with the idea of adding on later. If you grill only occasionally, an elaborate outdoor kitchen that is mostly idle may inspire buyer’s remorse. To ensure that you’ll appreciate your outdoor kitchen for years to come, take your time making decisions about where you would like your outdoor dining area to be located and in choosing the materials to build it with. 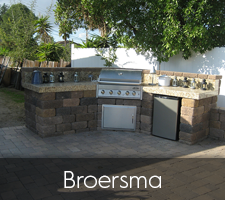 That’s where our pros, the most sought-after outdoor kitchen contractors in San Diego, come in. Take our advice, free of charge! 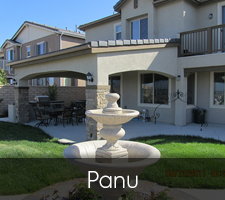 We’ll help you select a building material that will blend in well with the surrounding landscape. Masonry surfaces almost always look right with foliage and plant materials. Some of the most popular materials to use are brick, tile, stone, concrete and stucco. You can rely on our knowledgeable insight to help you choose a durable, high-quality solution that is the perfect match for your outdoor space. Let us help you implement your tailor-made idea! Make your backyard kitchen in San Diego your own. For instance, build a simple attached counter with a barbecue now and see how often you end up eating outdoors. You’re guaranteed to fall in love with your outdoor bbq island in San Diego County. If you find that you enjoy this outdoor experience, you can extend the counter and perhaps add a pizza oven or sink and refrigerator. It is also possible to install a prefabricated, all-in-one unit, which may include a refrigerator and a sink. Some outdoor kitchen kits include overhead structures with lights. If you want to add an aesthetic element, you could consider adding a fire pit. Consider the size of your yard when planning your outdoor kitchen. A large barbecue with a sink and refrigerator in a small yard might look out of place. If you have an enormous backyard with only a tiny portion devoted to your outdoor dining area, that too may seem out of proportion. Why is hiring professionals better than going it alone? Some homeowners can build a simple DIY outdoor kitchen themselves if they have masonry experience. But your time may be more valuable than the extra money to hire a pro. If you can only spare a few hours per week, this project may end up taking you an entire summer. Outdoor kitchens in San Diego are a perfect example of the many practical landscaping elements that can be added to your home’s landscape and garden design. With hundreds of styles, textures, colors and plants to choose from as well as additional features like water fountains or a waterfall as the focal garden element, there is no limit to the potential that your property has. Even a modest outdoor kitchen can significantly raise the value of your property. 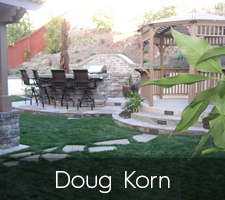 There is no stopping our team of experienced professionals who specialize in top-notch landscape design. We have an A+ rating with the San Diego Better Business Bureau and have many references available upon request. 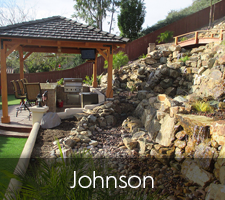 We also proudly cater to San Diego County’s growing need for water-efficient landscape design. 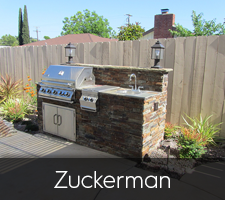 Call today for a free estimate on outdoor kitchens San Diego residents are proud of. Also serving Carlsbad, Encinitas, Chula Vista, La Jolla, Coronado and all nearby cities in San Diego County.